The kitchen, popularly known as the center of activity and the heart of the home is the area that gets the most use and endures the most wear and tear. Families enjoy time in the kitchen, not just once a day, but several times every day. This is the one room you want to get right in terms of function, organization, and durability, but beauty doesn’t have to take a backseat in today’s modern kitchen. 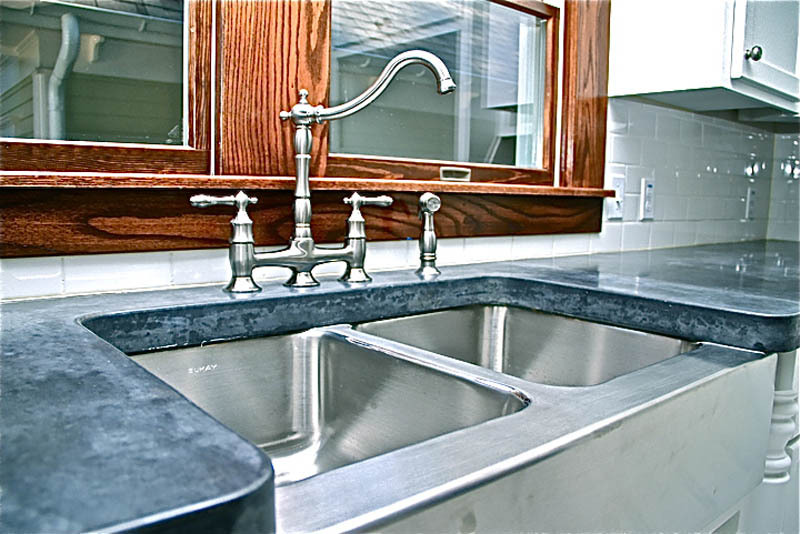 Complement your kitchen with a custom concrete countertop, sink and backsplash hand made by the artisans of Concrete Creations. 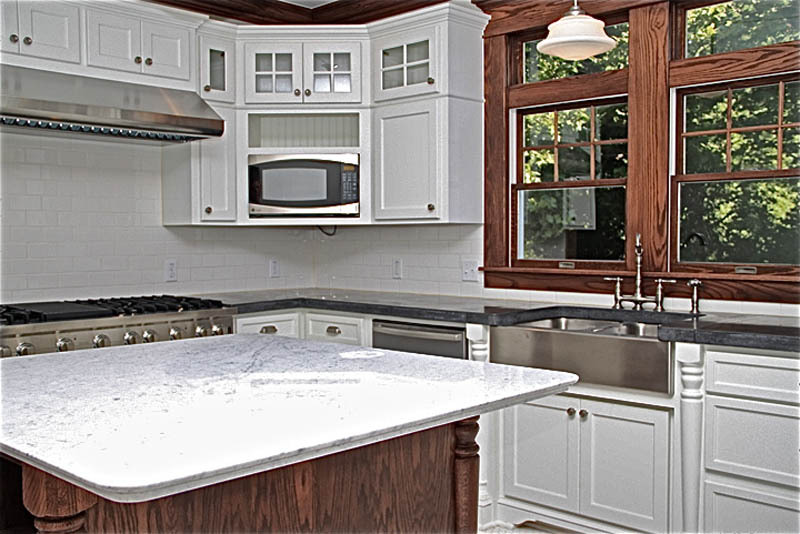 Our countertops are unique because each one is completely custom designed for you. Concrete begs for your customization. Kitchens can be such imaginative places; with concrete your countertop doesn’t have to be plain and boring. Integrated sinks, integrated cutting boards and trivets, decorative inlays, custom integral colors, exposed aggregates, backsplashes, decorative edges are only a few of the concrete options possible. By combining these design options with your imagination and our craftsmanship, you can have a one of a kind concrete masterpiece. Want to add some flair to your concrete countertop? 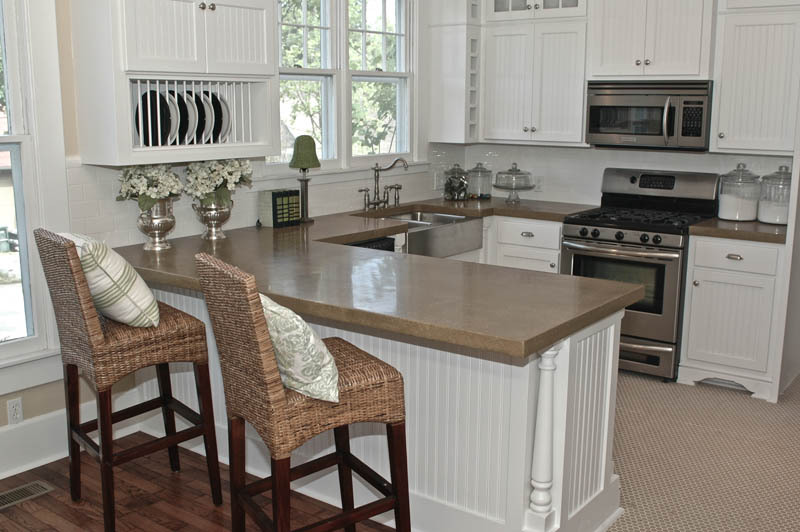 A wide variety of materials can be cast into the countertop. Fiber optic lighting is a current trend. 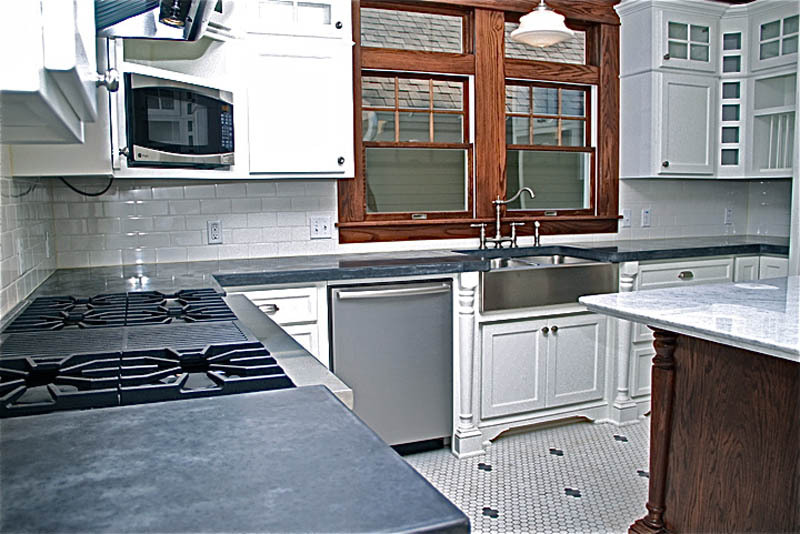 Recycled glass is also a popular concrete countertop add in. A beautiful Terrazo countertop can be created by adding small pieces of marble chips into the mix. The possibilities are endless. Each piece can be customized in a myriad of colors or thickness, and are not only incredibly beautiful, but durable and easy to care for. Designed and crafted to last. Whether an interior is traditional, contemporary, or somewhere in between, concrete is a versatile medium that takes on the personality of the designer and owner. View our concrete kitchen gallery.